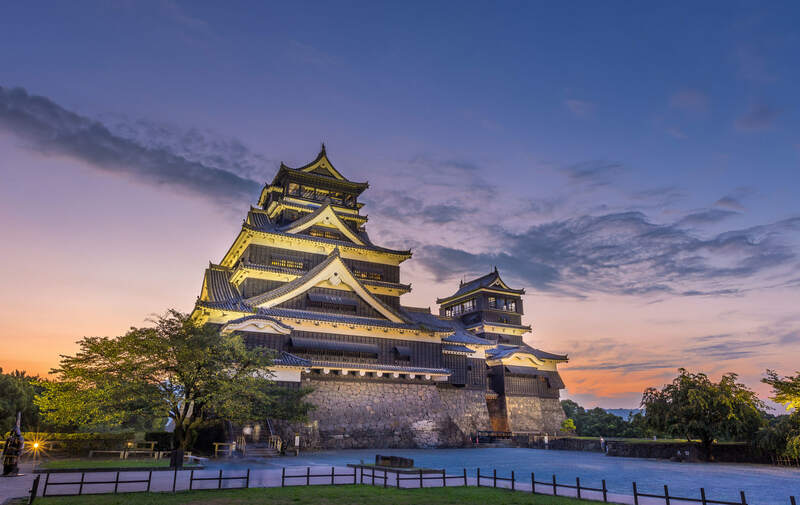 The gateway to Japan and Asia, Kyushu is a zen-filled haven complete with hot springs, fresh cuisine, lush nature and welcoming, friendly locals. The early center of Japanese civilization, much of Japan’s history and mythology originated in Kyushu, and as such the cultural offerings of “the Rome of Japan” are a unique blend of traditional Japanese and foreign influence. 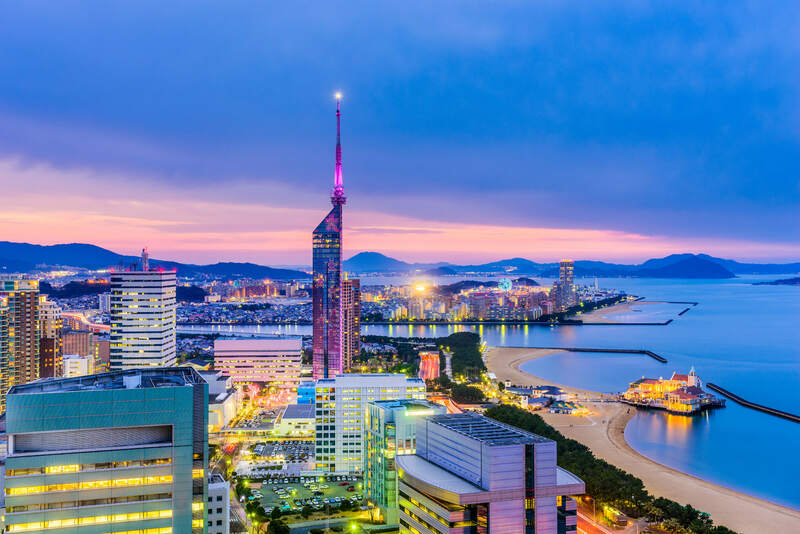 From the multicultural metropolis of Fukuoka to the shores of the smoldering volcanic peninsula of Sakurajima to the rejuvenating hot springs of Beppu, the “Land of Fire” is a vibrant oasis ready to be discovered. Fukuoka city is the main entry point to Kyushu. Arrive in less than 2.5 hours by shinkansen from Kyoto and Osaka. Direct flights to Fukuoka are available from Tokyo and other major cities in Japan and Asia. Once on the island, the extensive system of trains and buses makes traveling convenient and the must-see sights accessible. Several scenic rail lines offer amazing views of the picturesque landscape. The Yufuin-no-Mori train provides a lovely ride from Fukuoka to the hot springs town of Yufuin. As you pass over the Chikugo River in the yellow trains of the JR Kyudai Main Line you can take in the surrounding mountains and nature. Hop aboard the steam locomotive from Kumamoto to Hitoyoshi for a nostalgic trip through the verdant countryside. Wherever you are headed, be sure to check the train routes ahead of time to plan the perfect railway tour. Blessed with a subtropical climate, rolling mountains and seaside cliffs, the natural beauty of Kyushu is simply breathtaking. From powerful waterfalls to serene forests to volatile volcanoes, even the most ardent city dwellers will be impressed. The awe-inspiring adventure starts with Kyushu’s active volcanoes. Mount Unzen is a short bus ride from Nagasaki while Sakurajima dominates Kagoshima’s landscape in the south. Kyushu’s most famous caldera is Mount Aso. Walk up to the edge of an active crater or book a helicopter flight to witness the volcano’s awesomeness. Further in the highlands is the amazing Takachiho Gorge, formed by Mount Aso’s lava flow, and graced with the majestic Manai Waterfall. Head to the east side of Kyushu where the Nichinan Coast offers panoramic ocean views, as well as the palm-forest island of Aoshima. 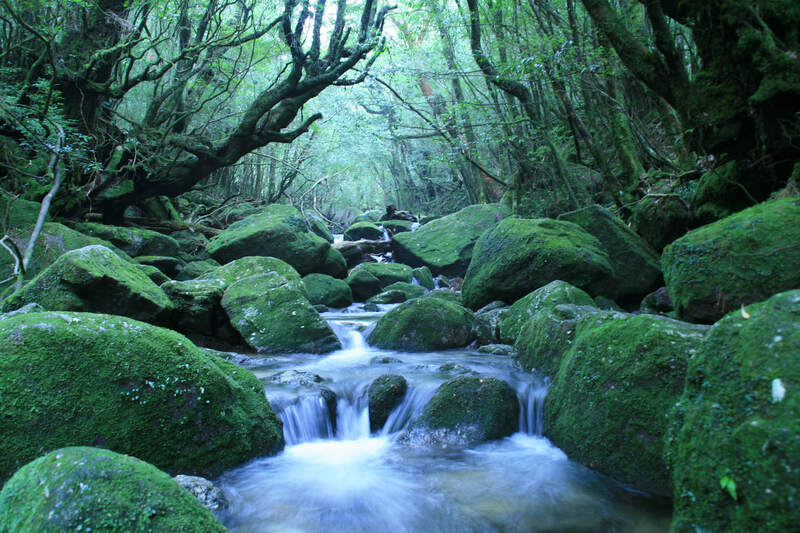 The southern island of Yakushima, the tropical forest paradise made famous by anime director Hayao Miyazaki’s Princess Mononoke, is a must-see for any nature lover. Awe-inspiring volcanoes aren’t the only natural wonder created by Kyushu’s volatile tectonic plates. Travelers from around the world descend upon Kyushu for its rejuvenating, therapeutic and stunning hot springs. Beppu Onsen Village garners the headlines, and with good reason, as the quaint resort is littered with modern hot spring accommodation and traditional public bathhouses. 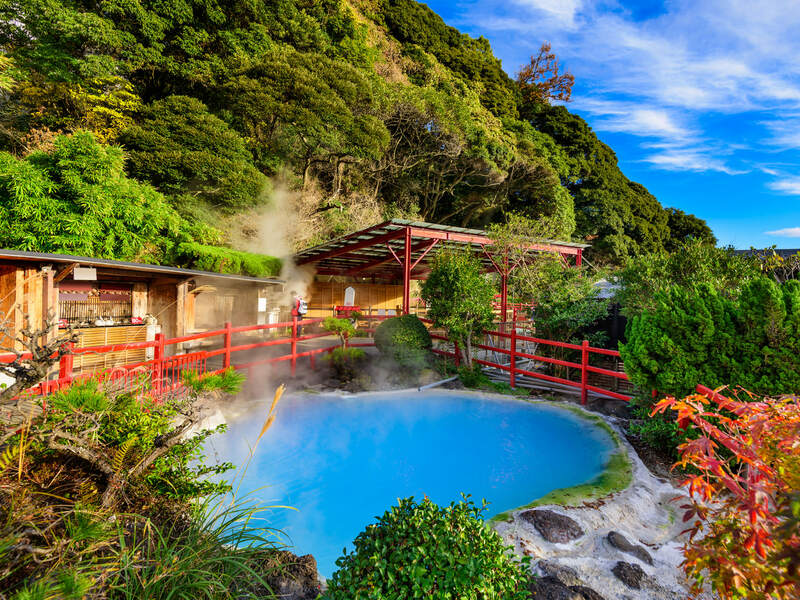 However, Beppu’s most famous hot springs are its jigoku, or “hells,” which are scalding hot, sulfurous mud pools emitting bubbles in vivid colors (not for bathing!). Nearby Yufuin Onsen is dotted with exceptional hot springs accommodation as well as boutique shops and restaurants. Be sure to catch sunrise at nearby Lake Kinrin, whose morning mist is powered by underground thermal energy. Ibusuki, on the southern tip of Kagoshima, is famous for its full-body sand baths. 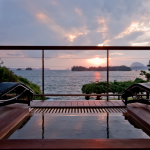 The modern Hot Foot 105 in Nagasaki prefecture is the longest foot bath in Japan and offers beautiful sunset views. Meanwhile the legend of the 1,300-year-old onsen village of Tamana in Kumamoto Prefecture claims the waters offer miraculous healing ability. For history buffs, it is said the deified empress Jingu bathed at Saga Prefecture’s 1,300-year-old Takeo Onsen. Visitors can see Chinese, Korean and European cultural integration throughout Kyushu. The historic center for international relations, and one of the few ports open to foreign traders during Japan’s period of isolation, many of the cultural aspects, from art to food, that are pervasive throughout Japan originated in Kyushu. 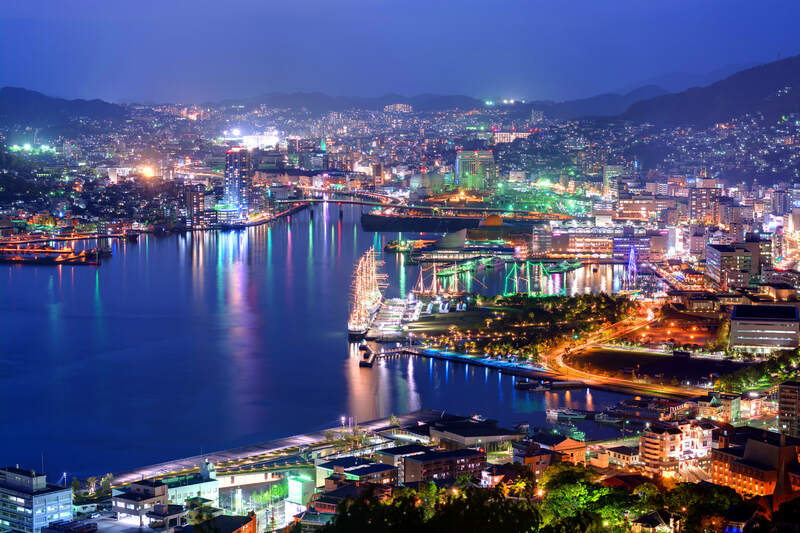 Nagasaki is known for its European architecture and Christian landmarks, as it was the only city where foreigners were tolerated until the Meiji Restoration. Dejima is the location of a fascinating Dutch trading station, while the Glover Garden area is famous for its preserved residential architecture. The reconstructed Urakami Cathedral and the Oura Catholic Church serve as symbols of Nagasaki’s turbulent history. Gastronomic-focused travelers from around the world pinpoint Kyushu on their maps for fresh seafood, mouthwatering noodles and locally sourced cuisine that won’t break the bank. 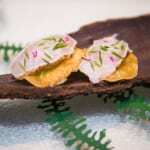 Throughout Kyushu’s fine-dining restaurants and famous street vendors visitors dine on diverse offerings from modern culinary creations to simple morsels handmade using centuries-old techniques. 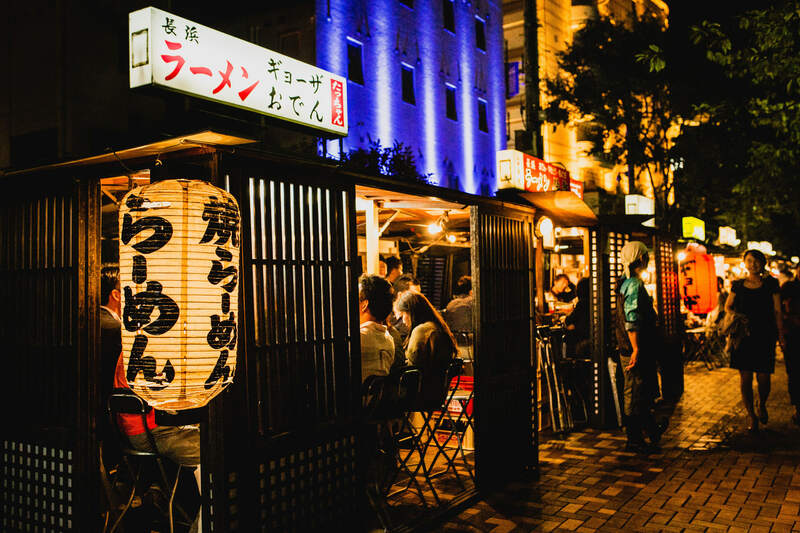 Hit up Fukuoka’s famous yatai food stalls for their signature pork bone-based ramen or head to Nagasaki and dare yourself to try the notorious blowfish. Saga beef, on par with Kobe beef in terms of marbling and tenderness, will melt in your mouth. For eye-popping grapes, apples, pears and more, Asakura city and other farming communities offer seasonal tastings of flavor-packed fruit. 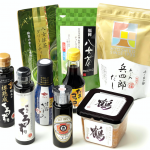 Kyushu’s seafood is the main draw, so whether enjoying the mackerel in Oita, the bonito in Miyazaki or the yellowtail in Kagoshima, be assured that what you are tasting is the best in Japan, and possibly the world. It is said the face of Kyushu changes for every season, and perhaps the island shows its best side during spring and autumn. From mid March to early April the whole of Japan is awash in its famous cherry blossoms, and Kyushu is no different. Perhaps Kyushu’s most famous cherry blossom viewing location is Maizuru Park in Fukuoka. The grounds of Fukuoka Castle are surrounded by cherry trees, and the trees are lit up after sunset, making it the perfect night-time stroll. In the fall months stroll along the walking paths of Mount Kiyomizu, located between Fukuoka and Kumamoto, when the maple leaves are especially beautiful. Kunenan Mansion in Saga Prefecture, the former retreat of a local businessman, is open to the public for only nine days in November – the best season for autumn foliage. Whether it’s flowers, food or scenery, every season in Kyushu is a full bouquet of culture, entertainment and wonder. Perhaps just as significant, the sites and restaurants are affordable, and won’t be inundated with fellow tourists.